The Old Ignatians Cricket Club currently has four teams competing in the Adelaide Turf Cricket Association. 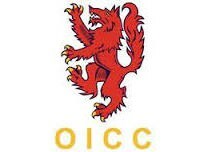 Two of our sides (A & B Grade) will compete in the A4 & B3 two-day competitions, while our two one-day sides (C & D Grade) will compete in the LOC & LOF one-day competitions this season. Born from a five-a-side soccer team which played at the then Morialta High School in the late 1970s, the Old Ignatians' Soccer Club has grown into a well established and supported club, playing on Saturdays in the South Australian Amateur Soccer League since 1994. Old Ignatians Netball Club (OINC) is a social and competitive netball club with a variety of teams available to suit all skill levels. OINC welcomes new players to the club each year.